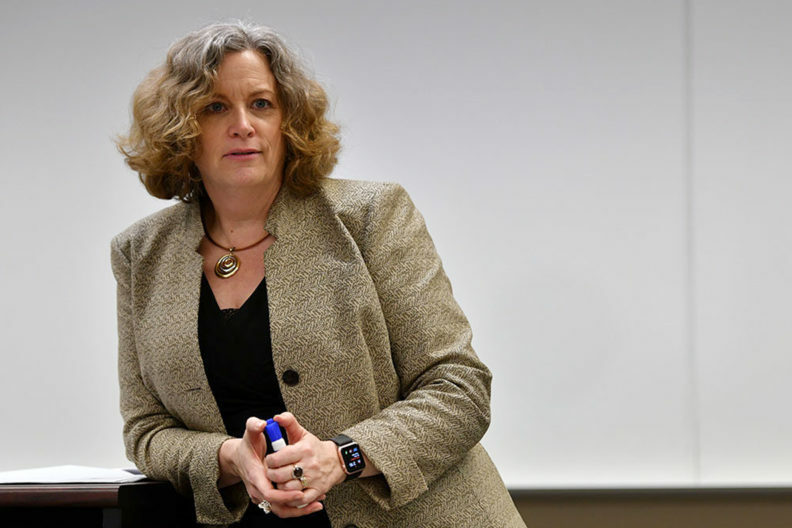 Deborah Compeau, professor of information systems in the Carson College of Business at Washington State University, was recently named a fellow of the Association for Information Systems. The award recognizes individuals who have made outstanding contributions to the field of information systems through research, teaching and service. The Association for Information Systems (AIS) announced eight fellow awardees for 2018. “AIS Fellows are expected to be role models to colleagues and students within the discipline. In addition, they should garner the respect of individuals from outside the discipline and should be esteemed for their high levels of professional and personal integrity,” according to an AIS statement. Compeau’s research focuses on the interaction between people and information technologies, with specialized interest the adoption and implementation of information technologies in organizations. Compeau joined the Carson College of Business in 2015 as a research faculty member and was appointed senior associate dean for faculty affairs and research in 2018. Prior to joining WSU, she held faculty positions at the University of Western Ontario, the University of Calgary and Carleton University. “The AIS community has been incredibly important to me throughout my career. I have spent more than 25 years as a professor, and I care deeply about the mission of the AIS — serving society through the advancement of knowledge and the promotion of excellence in the practice and study of information systems,” she said. The AIS Fellow Award was established in 1999 by the AIS Council and the ICIS Executive Committee. For more information, visit the AIS website.